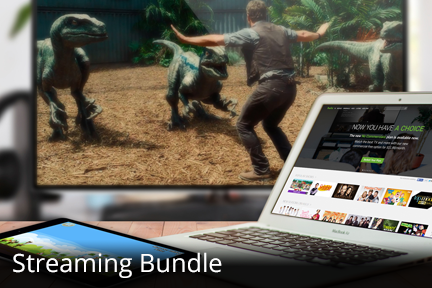 Phone — Etex - Internet, Phone, & Digital TV – Bundle and save with Etex! Call Waiting With a soft tone, this feature alerts you to incoming calls while you’re talking on the phone. Caller ID on Call Waiting This feature will show you the name and number of an incoming call while you’re on the phone without disconnecting you from the call you’re already on. Cancel Call Waiting With this feature you can temporarily deactivate the Call Waiting feature. Call Forwarding This feature lets you transfer your incoming calls to another phone number, either local or long-distance. Three Way Calling This feature lets you add a third party to the conversation you’re already having. Speed Calling 8 list With this feature you can program your phone to dial certain numbers (up to 8) when you press one or two digits. Speed Calling 30 list With this feature you can program your phone to dial certain numbers (up to 30) when you press one or two digits. Feature Discounts Per second feature and each additional feature, excluding Call Waiting as the first feature. Teen Service This feature gives you a second telephone number without the expense of installing a second line. Call Block This feature lets you block certain numbers, so that the caller is routed to a recorded message, and your phone never rings. Voice Mail Retrieves your messages from any phone at any time. Saves any messages. Lets you know that you’re getting all your messages directly. Call Return This feature returns calls to the last number that you called. Priority Call This feature lets you create a list of important numbers. Repeat Dialing This feature automatically redials the last busy number you dialed. Select Call Forwarding This feature lets you create a list of phone numbers which you can program to be forwarded to another number. Customer Originated Call Trace This feature initiates a trace of your last incoming call. If you wish to file a complaint ETEX will provide the number to the police. Remote Access to Call Forwarding From any touch tone phone you can turn on or off or change the number to which your calls are forwarded. In order to obtain telephone service from Etex Telephone Cooperative, Inc., a written application for membership must be completed and a payment of $10.00 must be presented to the Cooperative. An additional amount will be paid for each connection, extension and/or other services requested by the customer. A Membership Certificate will be issued as evidence of participation in the Cooperative. For additional information about the Cooperative and your specific rights as a customer, please review the booklet “BY-LAWS OF ETEX TELEPHONE COOPERATIVE, INC.”.